Have you seen what’s going on lately? The media would have us fixate on gun control, or Russia fables, or tweets on social media. But really, have you paid attention to the important stuff happening? In America in just the last couple of weeks, Joy Behar has called Christians who hear from God mentally ill, specifically Mike Pence. Of course, she ended up resigning, but ABC, but ABC wouldn’t apologize for her statements and you can see that this is becoming the widely held train of thought. Apple has taken Easter off of their calendar. Not only Easter, although that’s the upcoming one so it was prominent in the discussions, but all Christian holidays. And just today, I was looking in my calendar on my IPhone and lo and behold, in June on the 15th, there is a Muslim holiday, Eid al-Fitr which is the celebration at the end of Ramadan. The persecution is coming! I have friends, close friends and even acquaintances who only want to tell about God’s love. And paint a rosy picture of mansions and golden streets and angels singing Holy, Holy, Holy. And this is all great and wonderful and true. But you simply cannot tell that story without telling the entire truth of the gospel. Peter tells us we have to preach the ENTIRE pure milk of the gospel in First Peter. And Jesus Himself said we must count the cost before following Him. If we have to count it, there must be a cost, right? My friend Melissa and I were discussing this at coffee the other morning. She was saying how people in the church are walking around in fear. We are afraid to say out loud that we have been with Jesus. We are afraid to walk up to someone and simply tell them about Jesus. We are afraid to go over to that homeless person and pray with them. We are entirely too afraid here in America. Instead we should be walking in power and faith because nothing, NOTHING can happen to us without God allowing it. We should be declaring His promises to us wherever we go, whenever we can. And His power is in us, made perfect in our weakness. So all we have to do is obey when He tells us. Go pray with that homeless person, go tell your neighbor that Jesus loves them. But instead we walk about like the rest of the people, afraid because of guns, not the person, Afraid that if we stand up for ourselves something bad might happen, or someone may not like us. We don’t talk about what happened to us because we’re afraid of losing friends or not making new ones. And we walk around thinking we’re the only one – veiled even the the veil was torn in two on our behalf. Funny, too, how we never tell the entire story. We never tell people they are going to hell but there’s Jesus. In fact, in our culture here today, we are looking at an entire generation that aren’t aware of hell, other than something in cartoons or comic book. My bad. I heard Francis Chan say that we need to start telling them they are going to hell. Because it’s true. Because they need to know. Because they have a choice. And we have the good news for them! And speaking of choices, we do, too. We have a choice to move when God says move. We have a choice to go knock on that neighbors door that we just can’t get out of our mind. 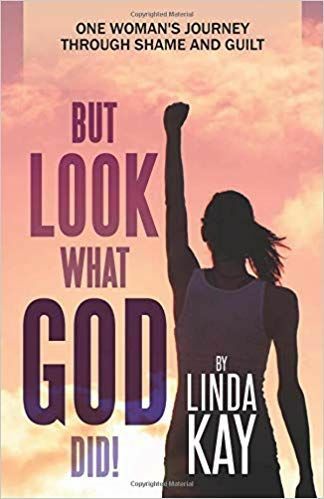 We have the power – Ephesians 3:20b ” according to His power that is at work within us,” – My grace is sufficient for you, for My power is made perfect in weakness. 2 Corinthians 12:9 and “ But we have this treasure in jars of clay to show that this all-surpassing power is from God and not from us.” 2 Corinthians 4:7. But here’s the thing – as we start to brave our giants, face our fears, God is with us. And the more we do it, in faith believing, the more we build that obedience muscle and the less and less our fear gets to be a factor. See, we need to build our spiritual muscles just as much, if not more, than our physical ones. So again, I challenge you, read just five minutes today. Yes, today. Build that knowledge, build that muscle. And when the Holy Spirit nudges you today toward that neighbor or that homeless person, move! You can do it! It reminds me of this song by Mosaic MSC, Tremble. You can click the link below to hear all of it. It’s very powerful. Have a marvelous day walking in faith!